The James Milson Retirement Village is located at 4 Clark Road, North Sydney (corner of High Street and Clark Road). The harbour breeze, proximity to all forms of public transport and an easy stroll to local shops, banks, cafes and parks all make the location of the Village ideal for retirement years. James Milson Village provides a caring ministry for the ageing in our local community. We offer quality care and support for each person as an individual with integrity, commitment and respect. Provide care through staff, family and community support which respects the individual needs of each resident. Encourage mutual respect for all who live and work together and create a supportive environment. Maintain a strong team approach which promotes a cohesive and positive environment for all. Provide for spiritual needs without imposing on individual preference. Give care regardless of race, colour, gender, religion or financial circumstances. Encourage ongoing involvement of family and friends in the resident’s daily life. 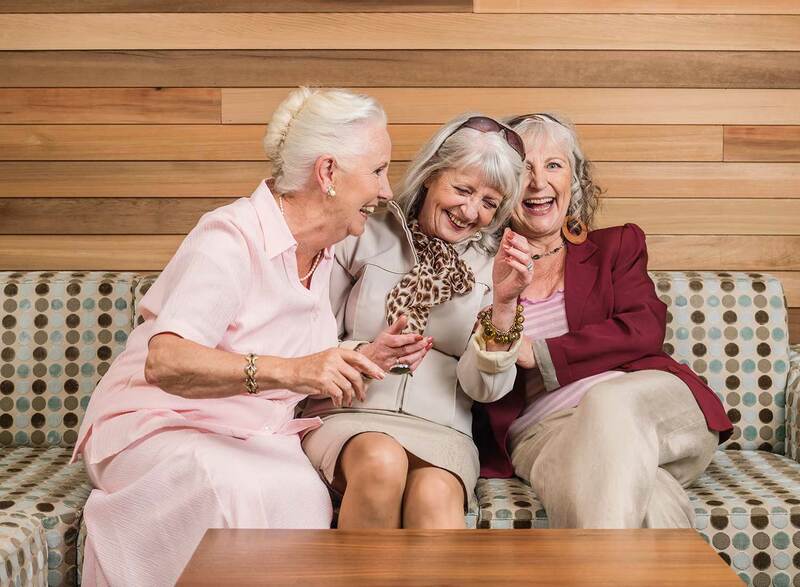 Provide a wide range of activities offering choices to meet the individual’s needs and preferences, so that our residents have the opportunity to live at their maximum level of independence and capacity. Provide opportunity for residents to remain active citizens by internal/external community participation. Provide for each resident to enjoy a dignified, fulfilling and meaningful life and dignified and peaceful end of life. Provide for continuing education for staff to ensure professional and personal growth and endorse the concept of excellence in all areas of care in a changing world. “My wife Frances and I have been living in James Milson Village for 2 ½ years. We are very happy here and we have been welcomed by our fellow residents. My sons and I want to thank the staff of James Milson Village for taking care of Ian so wonderfully for well over two years. It’s not easy to relinquish your husband of 50 years into the care of strangers but we have always had confidence that Ian was in good and caring hands. The patience of the carers never failed to impress. While many of the residents in Ian’s section can’t appreciate the renovations, they have made visiting more pleasant and the new activities and special events are a great improvement for those who are able to take advantage of them so thank you also to the Management Team. Initially I was not keen to leave Ian at James Milson Village as the Nursing Home was a bit shabby looking and too far from our home but after a month of respite care I realised that the care and particularly the staff overrode all other considerations and I have no hesitation in recommending James Milson Village. I have been a guest at James Milson Village for the past 57 days on respite care. 57 days and nights of constant care and attention, the likes of which I have never experienced. I am quite certain I would not have progressed elsewhere as I have at James Milson Village. I thank all concerned with heartfelt gratitude.